Not for profit provider of quality volunteer transport, domiciliary home care, training and support services in the County Durham area. 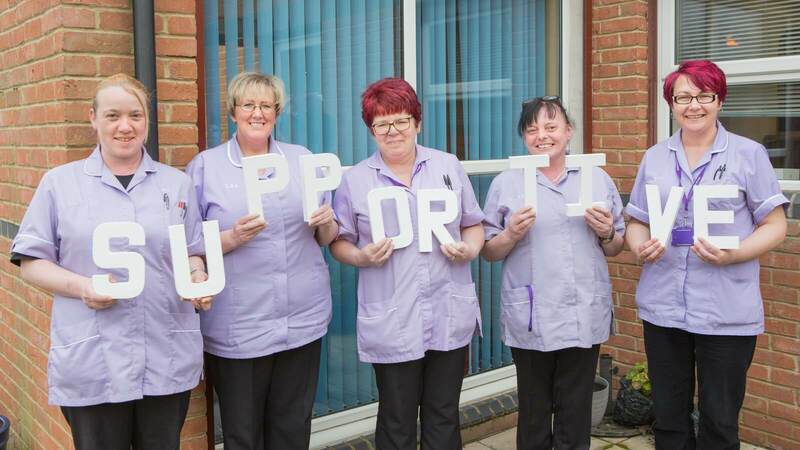 Established in 1994, Supportive, previously known as the Social Resource Centre delivers high quality, people-centred social care services throughout County Durham and beyond. The organisation has two primary areas of delivery, Domiciliary Care and Volunteer Driver Transport. The ethos of Supportive is to deliver community services on a charitable basis while providing the best possible conditions for staff and providing customers with a first class service. Management recognised that the business lacked the processes and technology to assist expansion. Although the core system a few years previously, when they explored new initiatives, there was almost always need to develop the organisation into new areas and to support the people involved with appropriate technology. Recognising that extending the company would also be a stretch, the team realised that formalising many back office processes including message handling and complaint handling would increase efficiency. There was no system in place to handle complaints, and therefore issues would be handled differently every time, Supportive understood that they needed a formal process to follow to continue to provide the best possible service. Supportive secured a contract to provide outsourced services to the Durham Dales Health Federation (DDHF) but they also recognised that a paper-based process could not satisfactorily maintain this contract. Because employees would be involved in a broad and sometimes remote geographic area there was a requirement for a system that is accessible from any location, while still feeding information to a central system for processing. Excelpoint created a system to support the DDHF contract, this system is usable in head office, from mobile devices and also from standalone apps in remote areas. All captured information is aggregated within a central system; it is processed and manipulated to output data to a variety of health organisations and local doctors’ surgeries. The appropriate employees received training in the business requirement by DDHF and the technology involved by Excelpoint. Consequently, they were the enablers in a seamless transition of the contract, and both parties enjoyed the benefits of a successful project with no adverse impacts. As a separate system Supportive implemented an electronic message handling process for internal staff. Now all calls for employees are recorded and escalated within a digital platform in keeping with the organisation’s heritage in the provision of excellent services when the management team considered complaints handling, they insisted on complying with the high standards set by the Complaint Standards Authority who publish model processes for best practice in this sector. Complaints are received from multiple channels, recorded electronically and categorised accordingly. Now all complaints are acknowledged with a unique reference for the end customer, when a claim may require further investigation to establish any expectations and failings that may have occurred. Our software enables Supportive to identify if complaints are unreasonable or misinformed expectations or weaknesses with other parts of the supply chain that fall outside their responsibilities. It’s amazing to understand how having the correct systems and access to the appropriate information informs decisions and improves service. “Supportive have been using Excelpoint services to support the management of information within our care service for the past two years. We have found Excelpoint’s software to be simple to use with excellent support from their team. Excelpoint used our design brief to deliver a fast and cost effective quality solution without the need to spend a protracted period developing a bespoke system.